A badge may reference variables. 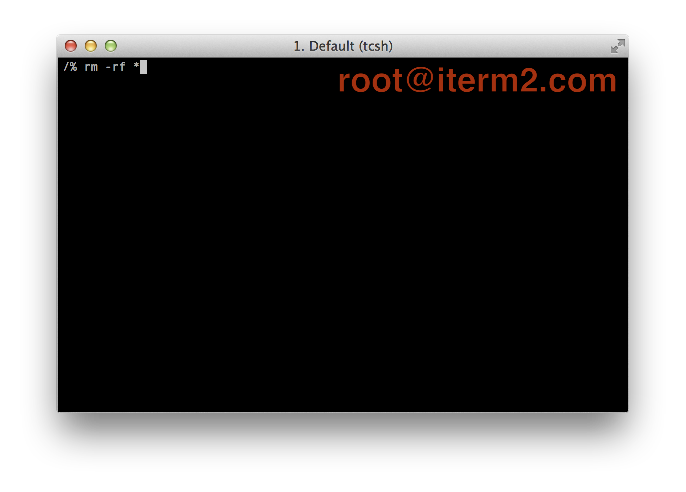 There are two kinds of variables: user-defined variables and iTerm2-defined variables. User-defined variables may be set by an escape sequence described below. session.name The current session's name. Defaults to the profile name. May be changed with the escape sequence OSC 1 ; name ST, or by editing the session title in View>Edit Current Session. session.columns The number of columns in the current session. session.rows The number of rows in the current session. session.hostname The current hostname. Only set if Shell Integration is installed. session.username The current username. Only set if Shell Integration is installed. session.path The current path. Works best if Shell Integration is installed. You can provide additional information in the form of user-defined variables. To create a user-defined variable you must modify your shell's rc script by defining a function named iterm2_print_user_vars that calls iterm2_set_user_var one or more times. See the example below. # bash: Place this in .bashrc. alias get_current_branch "bash -c '((git branch 2> /dev/null) | grep \* | cut -c3-)'"
# zsh: Place this in .zshrc after "source /Users/georgen/.iterm2_shell_integration.zsh". This is what iterm2_set_user_var sends. Generally you should use the iterm2_print_user_vars mechanism described above instead of sending this escape sequence directly. The badge's color may be set in Preferences>Profiles>Colors.